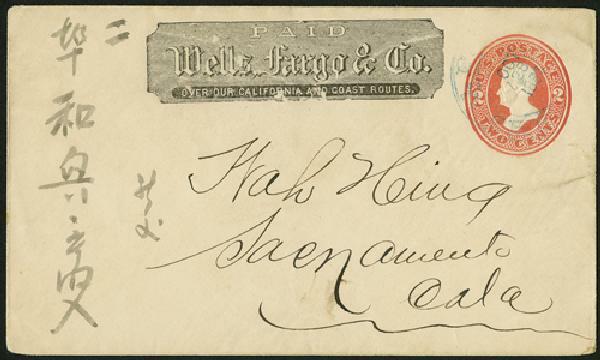 Item #MA1562 – Wells Fargo stamped envelope from the 1870s-80s. 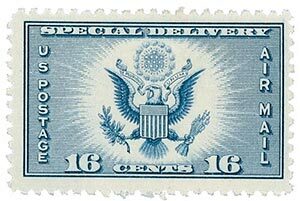 On August 31, 1852, the U.S. passed the Postal Act 1852, which required private express companies to use envelopes created by the Post Office. Prior to the mid-1800s, few letters were sent in envelopes because postage was usually based on the number of sheets of paper and the distance traveled. So an envelope would have counted as another sheet and increased the price. 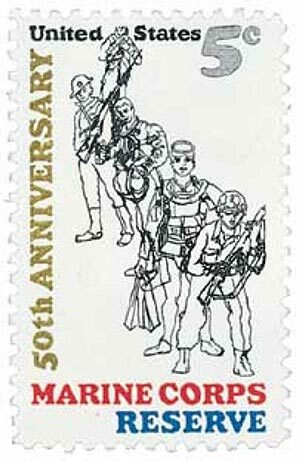 U.S. #1315 was issued on the 50th anniversary of the Marine Corps Reserves. On August 29, 1916, President Woodrow Wilson signed the Naval Appropriations Act of 1916, establishing the Marine Corps Reserve. 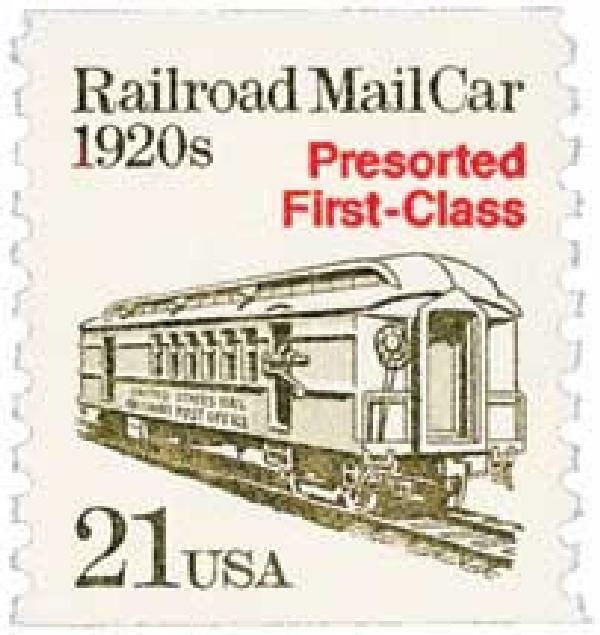 U.S. #2265 pictures a railroad mail car. On August 28, 1864, the U.S. Post Office Department created the Railway Mail Service. In 1838 Congress approved an act designating all United States railroad routes as postal routes. A significant improvement over the traditional method of delivering mail by horse-drawn coaches, the railway service signaled the end of one era and the beginning of another. 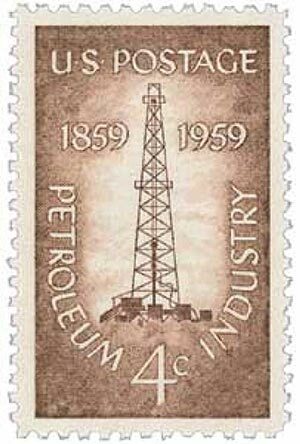 First Major Commercial Oil Well in U.S.
U.S. #1134 was issued on the 100th anniversary of this event. On August 27, 1859, Edwin Drake struck oil near Titusville, Pennsylvania, establishing America’s first commercially viable oil well. 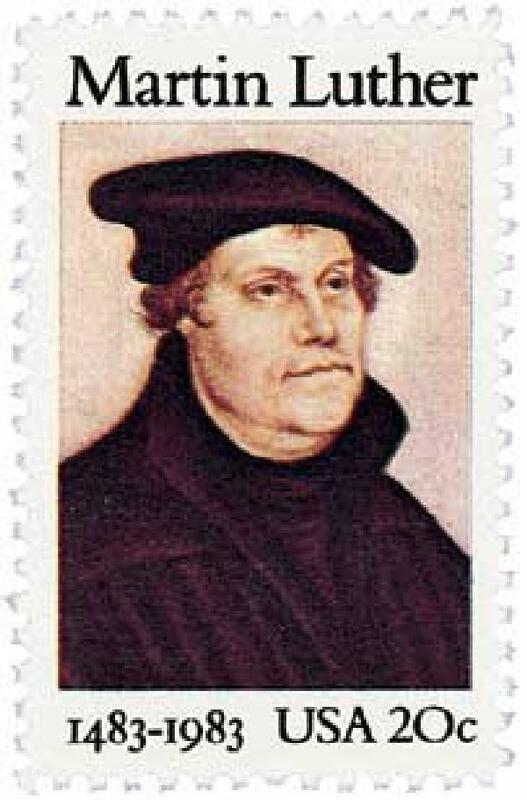 U.S. #2065 – Martin Luther started the Protestant Reformation in 1517, laying the groundwork for the Lutheran Church. On August 26, 1748, members of several Pennsylvania Lutheran communities met and agreed upon a common liturgy – the first in North America. Swedes and Germans practicing Lutheranism had begun settling in Pennsylvania as early as 1638. They were drawn to the American colonies for the promise of religious freedom. Individual groups formed their own congregations. By the mid 1700s however, the need for well-trained preachers, elders, and deacons became apparent and a conference was planned.